enemies before. A bear had never been one of them. I was ten years old the last time I traveled to China. Celine Dion’s “My Heart Will Go On” was all over the top 40 radio stations and my cousin carried the cassette with her across the world. Through the airport where we were told to follow a family we didn’t know but my father did, through customs and security. Just the two of us, one ten, the other eleven. On the airplane, the child of the family we followed received a teddy bear backpack, brown and furry in its plastic packaging. He was younger than us; we couldn’t admit our jealousy and demand our own. Through the window, we watched the sun set then rise soon afterward, the light burning our eyes as we ate our breakfast omelets. It was the first omelet I’d ever eaten, spongy and gooey in its plastic container. At our layover in the Hong Kong Airport, a huge glass glittering spectacle, we blew our money on ice cream cones, trying to convert the currency in our heads. Eight to one, our cones seemed prohibitively expensive at 23 yuan. But with chocolate drizzle and vanilla ice cream, we couldn’t think of anything else we wanted. My grandfather met us at Fuzhou Changle International Airport and hired a small truck to bring us to Fuzhou, about forty minutes away. I pressed my hands to the glass of the window and watched the fields pass. Fields that gave way to steep gray walls of rock dotted with trees and moss on top (“Look at the mountains,” my grandfather had said, “the most beautiful mountains in the world”) to fields again and finally, the skyscrapers of the city. My grandparents lived in an apartment in one of those skyscrapers. Two bedrooms, a western-style bathroom, and a dining room ceiling with glittering diamond-shaped tiles. A long thin kitchen peeking through to the dining room. The faint smell of the cigarettes my grandfather would smoke. Inside the truck, red taxis passed us as well as huge numbers of bicyclists, most wearing flared straw hats that I envied. Later, my mother would bring me one of those hats, right before my grandfather died. they fall to the ground, limp and dead. This is a love story. At night, my grandfather would take us out after dinner, during the dim twilight before true night fell. We walked around the city, licking banana-flavored ice cream bars we bought from a little cart. The nights were still humid and warm. It was summer. There were other people around but not crowded like New York, the only city I could compare it to. We watched the lights of the city wink in and out against the gray-blue sky—better than stars. I felt safe there; funny to think of what my grandmother later said about pickpockets in the city, who would cut the pockets from your jacket as you shopped around the city. The world seemed a safer, better place then. Early in the mornings, my grandmother took us to the open air market to buy fresh meat and vegetables for the day. No grocery stores for us, with their bright lights and antiseptic displays. We passed vendors hawking sandals and gadgets until we reached produce, big bunches of leafy greens of different varieties. We piled them into our baskets, their stalks brushing the air when we walked. The next section was meat. A rabbit impaled on a giant hook, skinned and cut open so its insides showed. Big cuts of pork—belly, ribs, feet—cleaned so that they did not drip blood. During the day, my cousin and I mostly stayed in the cool air-conditioned apartment. We would build towers made of jade green mahjong tiles or watch Disney movies in the living room with her baby brother. There were only two to choose from: Sleeping Beauty and The Lion King. My grandmother taught us to play mahjong which I likened to Gin Rummy at the time, the sets of tiles with their birds and inscrutable characters, sticks of bamboo in patterns. Once, we went to an English language bookstore where I bought Grimm’s fairy tales and my cousin bought The Picture of Dorian Gray. Her book haunted me for a long time with its image of the aging portrait, the blood on its hands. She was unperturbed by her selection, though and I remember marveling how calm she was after reading the tale. How, in the face of fear, she could be the strong one. Once, we left the apartment by ourselves, went to a corner store where I, brave enough to speak, bought a deck of cards. Blue lines crisscrossed the backs, no company I recognized. I would use them for years until some of them were lost, the pack itself fraying and held together with rubber bands. I sniffed and sneezed a lot during that time, something brought over from my home in New York. “Why are you sniffling?” my grandfather had asked. I had no answer; I was so used to it that I was barely aware of my constant runny nose. My grandfather took me to the hospital for an appointment with the allergist. The doctor unscrewed the cap of the needle, pushed the sharp point into my flesh, over and over, forty times total. Twenty in each arm. My eyes teared up from the pain, the incessant prick and push of liquid, but I did not cry. Afterwards, I was given a chart I could not read and nose drops that slid into my nose then down my throat. I was allergic to all manners of things: lamb, beef, smoke, cotton, chicken, dust. I cannot list or even remember them all. Later in the summer, my grandfather took us to the zoo while my grandmother stayed home with the baby. The sun was high overhead, a 33 degree day, sweat beaded on our faces, necks, arms. My cousin always had sweat drops above her lip and I made fun of her for it. She didn’t mind, she’d just give a dimpled smile and wipe the sweat from her face; that’s why she was the favorite. She was the cheerful obedient one, the one whom my mother, back in the States, would hold up as an example to my sisters and I. “Why can’t you be more like her?” my mother would say, “She loves her parents, she would do anything for them.” There was a word for that, one I can only say but not write, a word that meant obedient but also included the meaning of selflessness. It was a quality highly valued by our family. At the zoo, what I remember best is the hippopotamus. It yawned, its mouth so large and wide with its discolored pegs of teeth, that I clung to my grandfather’s hand. I could imagine it eating a man. a match underneath and circles it under the bowl a few times. Blows out the match. Opens the lid and inside, noodles. My grandfather took us to a white pagoda with stairs that spiraled around the outside. It was taller than any building around and we had to buy tickets to go inside. My stub had a photo of the pagoda, a tall white monument surrounded by blue sky. Nearby were smaller temples, with upturned roofs and no doors, lions guarding the entrances instead. We were given incense lit by matches. We kneeled and wished for little things as well as the things we have been taught to wish for: success, happiness, and most of all, good health. My grandfather wanted to bring us to Beijing but the rivers were high that summer; on tv, we watched people stack what looked like rice bags on the shore. It wasn’t safe to travel. At the time, I didn’t think much of it—it was something my grandfather wanted to do for us but I wish we could have gone, could have climbed the Great Wall’s many steps and looked down the curve of the hills, where people once died to keep invaders out. I do not remember rain that summer, only sometimes, a bit of mist. On our birthdays, a soup of red yeast rice and a tougher, older chicken. One egg, fish balls, and long noodles that soak up the liquid so that it seemed the longer we ate, the more there was. Red, the color of good fortune and happiness. Red, the color to ward off demons. It was a complicated soup, a regional specialty I wouldn’t know how to make but everyone there did then. To them, it was like knowing how to make congee, something you grow up knowing. There were no presents but they weren’t needed, no cake either although my grandmother had a sweet tooth which was mostly fulfilled with hard candy and fruit. Occasionally, my cousin would buy gum and we would blow bubbles to have them pop, the sweetness of it filling our mouths and the stickiness of it on our faces. My paternal grandmother lived in the same province as my maternal grandparents. I would occasionally be taken to her house, off in the countryside by taxi with my grandfather. In her house, there were dirt floors and bamboo beds with canopies. A big courtyard in front that was shared by the neighbors whom I occasionally saw washing clothes out front. She would make me noodles with mussels and other seafood in her wok; I disliked the mussels mostly for their color and the fact that they were not clams. I was somewhat afraid of her; she was old and her hands were gnarled and spotted. When she came to live with us during her final years, she brought with her the smell of cigarettes her doctor had gotten her addicted to years ago and the mustiness of the old and sick. I would have to help her to the bathroom, stay alone in my house while my parents worked at night, and wait for her to call my name. But that came later. At night, I would take baths in the kitchen, standing over the drain with a bucket of hot water. She had one small tv by the window between my bed and the kitchen, and a small fan across from my bed, to cool the humid nights. There was a lot of quiet in that house and I wasn’t allowed upstairs, I think because the rooms were in disrepair. The one time I did go was because my grandmother wanted to show me some old family photos of people I didn’t know. What I remember are black and white photos, sometimes touched up with color, and the sunlight streaming in. This was the house my father grew up in. I would stay for a few days before my grandfather would come pick me up. One time, I went back by myself. I waited by the side of the road, next to fields of plants taller than I was. Wheat perhaps or corn. I remember being amazed at the landscape, something I had never seen back in New York. To me, this was real countryside. Acres of tall plants and an empty road. A truck with an open back and benches along the inside rumbled up beside me and I climbed on. There were already several passengers but I didn’t speak to anyone, just watched the fields go by and the road fall behind me. looks at the camera, gives a cry and flies away on a cloud. My war-hero uncle only spoke Mandarin Chinese, a dialect I barely recognized. Instead, I learned to say one phrase “听不懂 (Ting bu dong)” which roughly meant that I couldn’t understand what I was hearing. In actuality, I could understand some of it, enough to know when to say my phrase but I couldn’t make myself understood. The dialect that I did speak helped me communicate with my aunt and grown cousins but my vocabulary was always lacking. These were the people who had brought me up as a baby, who had nursed me through chicken pox and taught me the language I had forgotten. My aunt and uncle had never gone to America but my older cousin, the one who was only a few months older than my father, had worked at our restaurant. He had a broad smiling face and black hair streaked with more gray than my father’s. He was the one who had come all the way to Fuzhou just to take me to Nanchang to see my aunt. We had taken a sleeper train, gotten a meal of marinated pork and rice from a man making the rounds on the train. The cots were long and narrow but not too uncomfortable although we shared our car with two strangers who chatted with my cousin. In Nanchang, it was his apartment that we went to in the evenings for dinner, chinese checkers, and to watch the news on CCTV. In the mornings, I would walk past the other apartments, past the basketball court where sometimes, I’d see my second cousin, to a little restaurant owned by my cousin’s husband, Jumbo. I’d sit at one of the tables by myself and eat a pork bun, freshly steamed and fragrant, or a bowl of egg soup with a long stick of layered, airy fried dough to soak up the liquid. I would return to my aunt’s apartment to watch television while my aunt watched over her grandson. My cousins lived right across the street but they worked during the day. I watched Lois & Clark but I cannot remember whether it was in English and subtitled in Chinese or vice versa. Also, a television show in which two young men and a lady in old-fashioned robes with the long, fighting sleeves found often in classical movies battled bad guys and ate pizza, an anomaly that surprised me. My aunt brought me to get my hair cut, a bob that didn’t necessarily fit with my broad cheeks but looked neat in a way my mother would approve of. Then we went to a tailor where I was made a button-down shirt and skirt set, thick white fabric with a shimmering design. Eventually, that skirt was lost and the shirt would be hung in my mother’s closet until it, too, disappeared. Another time, I was brought to a mall and urged to buy anything I wanted but there was nothing I felt a need for and the prices didn’t make sense, all in hundreds of yuan. My uncle had given me money, a 100 yuan bill and many shining 1 yuan coins. I liked the heaviness of them, the way they shone when I opened my little pouch and the flowered design that was so different from the eagles and faces I was used to. Sometimes I still look at them, the newness of those coins despite the years and the understanding that they will never age. Once, I rode on the back of a motorcycle, behind someone I vaguely recall as a relative of some sort. I remember him being a small-statured, lean man, probably in his late twenties at the time. Sometimes I think about what he or my cousins thought of that time, of caring for a ten year old who barely spoke but these are questions I can no longer ask. We were returning from someplace or another, from downtown to the area my aunt’s apartment was in. I remember the green of the trees set back from the road, the tight turns we took, the fear I felt as the wind blew through my hair with so little to stop me from falling. I kept a journal of my summer in China; my mother had asked me to. A dark blue spiral-bound notebook. I dutifully wrote what I did in it every few days but my journal entries were not particularly interesting. They listed my activities but little of my feelings. But I can still imagine the red taxis, the smoothness of the mahjong tiles, the pinch of the shots I received for the allergy test. The sound of early morning traffic and how my cousin and I would sing Celine Dion. I couldn’t go back if I tried. There is nothing of China left now. Too many people in too many cities, pollution piling up on the shores—it only took one disease sweeping through so quickly that people couldn’t flee to the mountains in the west to bring China down. Beijing, Shanghai, Hong Kong, Nanjing—all empty skyscrapers and darkened skies from the ashes of funeral fires. The rapid shutdown of factories, the quarantine of a country. Everything here in America with the label “Made in China” destroyed just in case. I couldn’t know that all these things I have spent a lifetime dreaming about, a past that I had always assumed would be there, would so quickly be swept clean. When I go out, people look at me with fear in their faces. They push their shoulders in, hunch themselves smaller so as not to draw the attention of death and disease. No one wants to be associated with that taint. They are afraid that America will be the next to fall because Asia is only several thousand miles away, across the ocean and look, we have so many immigrants here. Who knows what they have brought to our shores, the things they carry. I pretend I do not understand. The China they know is not the China I know; my China is only alive in memory. This ravaged China is what they see—the injustices, the pollution, the overpopulation that turned into so many dead. My China is filled with people on bicycles, cricket-filled nights without air-conditioning, the utter trust involved in letting a ten year old wander alone through a city. But you cannot speak of those things here; you don’t want to draw attention to yourself and there is only this sick, dying China now. What you can do is keep silence and keep small. Pretend that you have never felt the pull across the continent, that what you are is an American, through and through. No accent here, no cultural connection, no meals of dumplings and sticky rice wrapped in leaves, no dragon dances or red envelopes filled with money given to you on the New Year. No Wong Faye and Na Ying singing their duet in celebration of the return of Hong Kong to China. No stories of the Monkey King traveling in the company of a monk or of Nezha diving underwater to fight the dragon kings. They have all been destroyed anyway; all I have are time-skewed memories of people, of movies and songs and language, fragments of pictures that do not make sense once put together. All I have are the words “没有了(Mei you le)” and the understanding of the words, of the fact that the China I knew is not coming back. 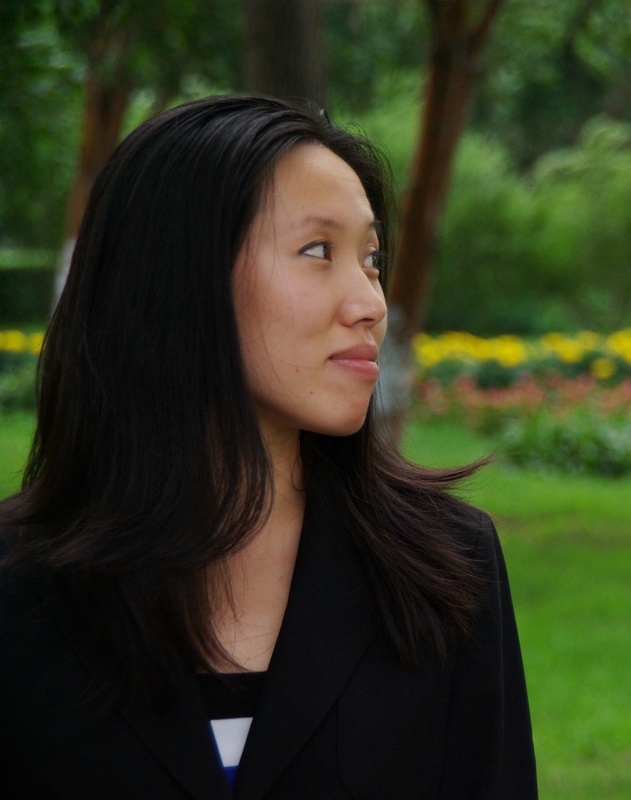 Su-Yee Lin is a writer of short fiction with an MFA from the University of Massachusetts Amherst and a BA from Brown University. She was a 2012-2013 Fulbright Fellow to China and was recently named a 2014 NYC Emerging Writers Fellow at the Center for Fiction. Her writing has appeared in Tor.com, Fairy Tale Review, A Cappella Zoo, Fantasy Magazine, Ideomancer, and elsewhere. 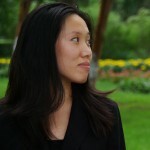 She has a blog at suyeelin.wordpress.com and lives in New York City.